To all of our new and existing families, welcome and thank you for being a part of the Corpus Christi College community. Thank you and well done on a terrific start to the year. As the new school begins it is really important that students take every opportunity to perform to the best of their ability in every aspect of College life. Be it in the classroom or on the playing field, it is always important to be consistently giving your best. Being well prepared and trying to always perform to capacity is the only way to ensure a really solid foundation to support future activities. Organisation for class, participation in-class and completion of assigned tasks should never be an afterthought, but the main focus of a school day. Please refer to the College Website and Calendar for the most up to date details. Details in the College Diary may change. Parents are welcome to make contact with the College to discuss progress or issues at any time. It is important that parents contact the relevant staff member when making contact with the College. The flow chart below outlines the order in which staff at the College should be contacted. Parents should start at the beginning of the chart and then proceed to the next level, if the matter is not resolved to their satisfaction. 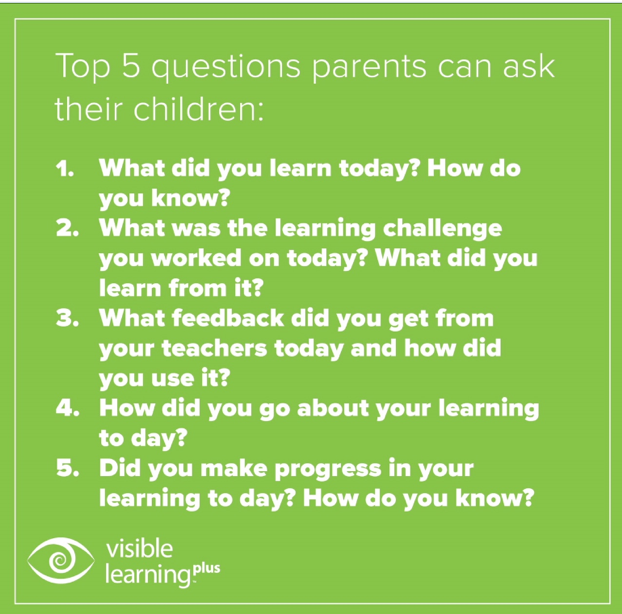 Alternatively, the staff member may pass the matter onto the next level should they be unable to respond to questions raised by parents. During weeks one to three, all Year seven students will be undertaking a range of tests that include the Progressive Achievement Test in Mathematics (PAT-M), Progressive Achievement Test in Reading (PAT-R) and the Middle Years Ability Test (MYAT). Most Year 8 and 9 students completed all the testing at the end of 2017. Students who missed any of the above-mentioned tests will sit these in the next couple of weeks. Data is being collected and will be processed in the coming weeks. The data is used by Heads of Year and classroom teachers to inform teaching and learning programs as well as personalising the learning for individual students. · The Corpus Christi College Learner Profile is made up of 8 attributes or common outcomes which are deemed to be essential for success in the 21st century and for an ever-changing world. · The Corpus Christi College Learner Profile supports the Catholic ethos of the College and its holistic approach to the individual in and beyond the classroom. · The Corpus Christi College Learner Profile is designed so that students can become successful learners, confident and creative individuals and active and informed citizens. · The Corpus Christi College Learner Profile attributes will specify how students can become effective contributors to the local, national and global society. the bottom like toes are naturally designed to and a shoe that is not easily twisted. 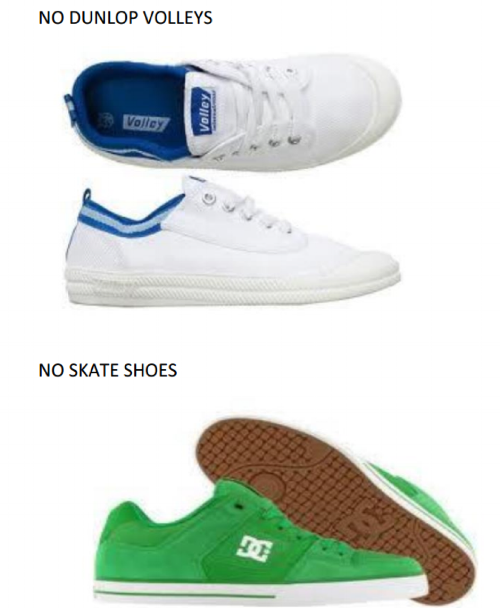 information with regards what shoes are not acceptable with House uniform (e.g. Fridays) and Physical Education uniform. VOLLEYS OR VANS are permitted. Congratulations to Year 7 for an amazing start to the year. Every student has wholeheartedly thrown themselves into the Corpus Christi experience with great resilience and enthusiasm. It is fantastic to see students settling so well with behaviour and attitude being exemplary from the outset. After a busy start to the year concluding with the Quest Retreat breakfast and guard of honour on Wednesday of Week Two. Students are now well prepared for learning as they begin to engage with our teaching programs. I have been carrying out learning walks this week and the students attitude to learning is superb. Thank you to parents for the high attendance at our information evening , I have placed a link to the presentations used on our Year 7 Portal that can be accessed through SEQTA. In addition, I have received a few queries this week relating to extra-curricular sport, the sport calendar can be also accessed through SEQTA using the Sportal. I am very much looking forward to working with you and your children over the course of this year and would like to take this opportunity to encourage you to make contact with Homeroom Teachers, or myself if you have any concerns our queries. Year 7 Parent Information Evening - 6:00pm Tuesday 6 February. Year 7 Swim Trials – Friday 9 February. Inter-house Swimming Carnival - Thursday 22 February. A central part of our faith is the quest for all of us to serve others. This is very much the theme of the Quest Retreat which provides a wonderful way for our Year 7 students to begin the year and experience a special part of the culture of our Corpus Christi College. We are very proud of the Senior School Quest Ministers and Cadre Leaders who work so well with the Year 7 students. It was great to see the Year 8 students excitedly meet at their lockers at the start of the school year. They met their homeroom teachers who helped with their organisation for the first few days. Students demonstrated Christlike behaviour by sitting quietly through the whole school assembly, followed by a Year Assembly. Inter-house Swimming Carnival Thursday 22 February. Year 9 has started with the usual hive of busy activity that each new year brings and the Year 9 students have been challenged to ‘Catch their dreams’, take opportunities and engage in as much as they can at Corpus in Year 9! 2018 is the year for the Year 9’s to focus on developing their strengths with the culmination of the Personal Project. Expectations have been reiterated once again and I ask parents to work with the College and myself in ensuring that the Year 9’s present themselves to the best of their ability and seek guidance and assistance where needed. “Every day is another opportunity to start again and be better.” Misty Copeland and “GRIT - passion and perseverance” Angela Lee Duckworth. We are going to focus on starting anew each day and taking every opportunity to be better and approach each new challenge with GRIT! One way for the students to demonstrate their passion and move to be better is through attendance at the Community Mass on Tuesday 20 February. I look forward to seeing you all there and the beginning of our Year 9 journey together. The Corpus Christi College cafeteria in the Mater Christi Centre is a state of the art facility has been built with several things in mind. Ease of service, a cashless system and one which continues to promote a wide range of healthy and nutritious food and drinks. There are two options for payment, cashless using your Smartrider card (preferred) or cash. Students enter the cafe, make a selection of food, beverage or snack whilst inside, then line up in front of two touch screen cash registers, each with a check-out style bar code scanner for easy payment in each zone before exiting from one of two exit points. Please note that the cafeteria is unlikely to accept $100 notes. Information regarding the topping up of your Transport Account can be found on the back of the student Smartrider Card. Year 7 students and new students in Years 8 and 9 will be receiving Smartrider cards shortly. The cashless purchases at the Cafeteria use the same Student ID Card but a different account from which to draw funds. The Uniform Shop is located on College grounds – on top of the main driveway and outside the Administration block.